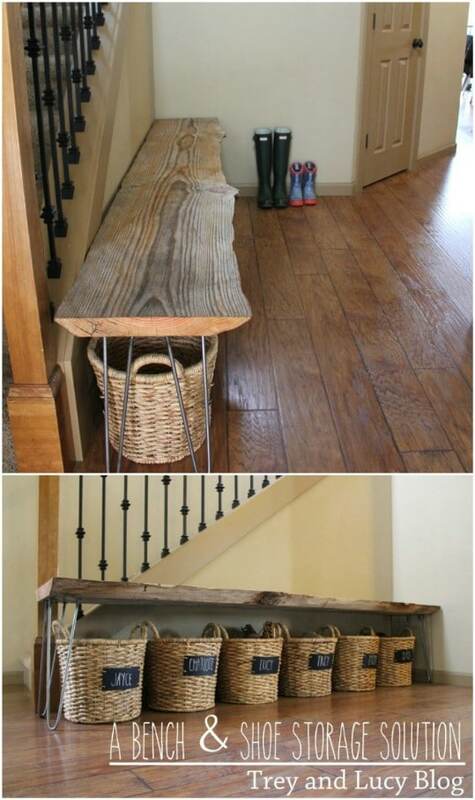 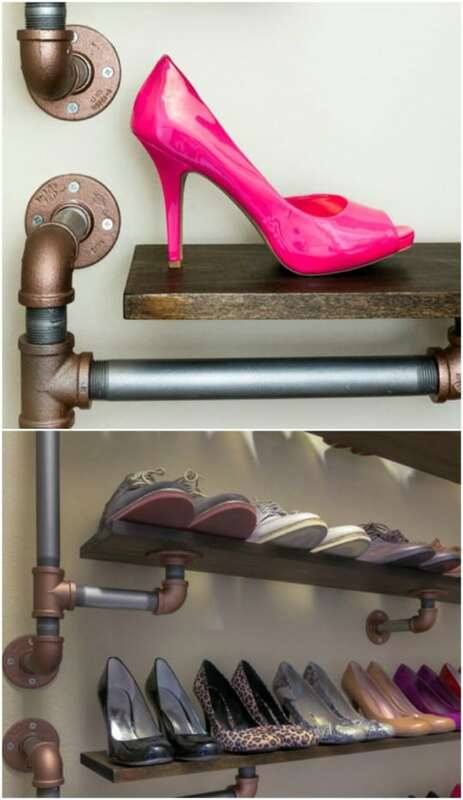 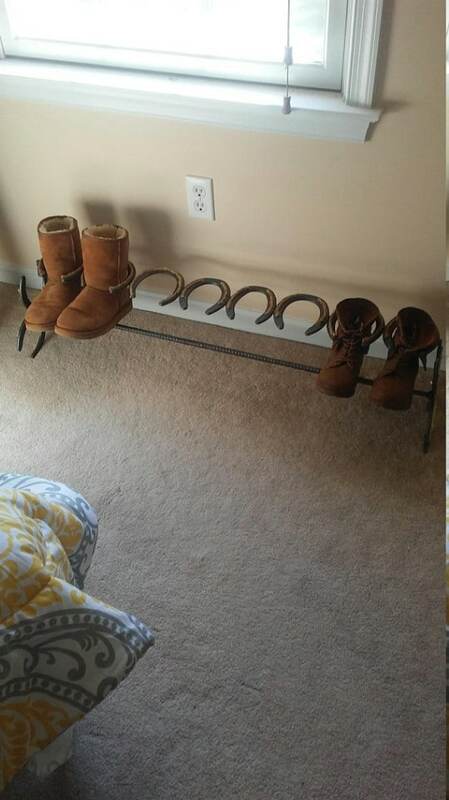 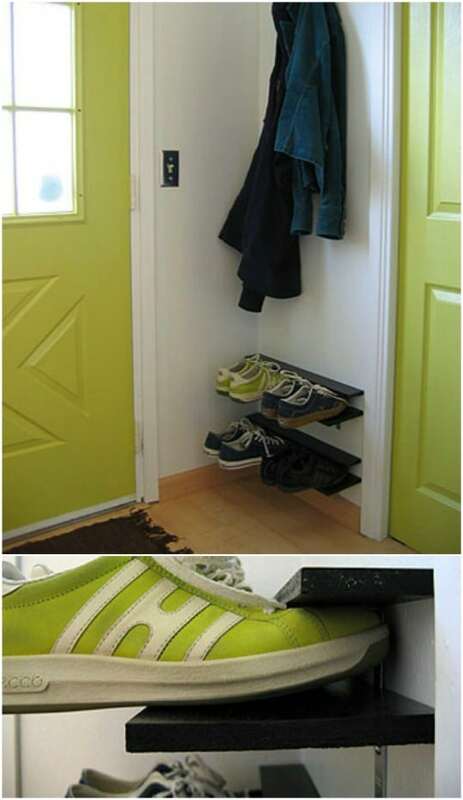 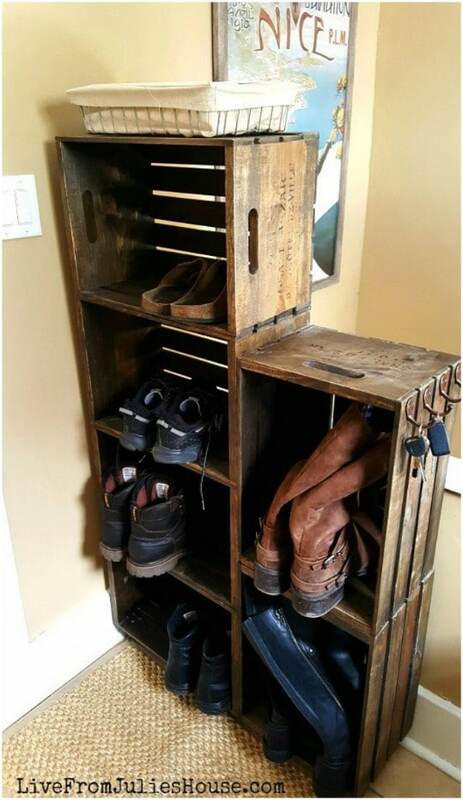 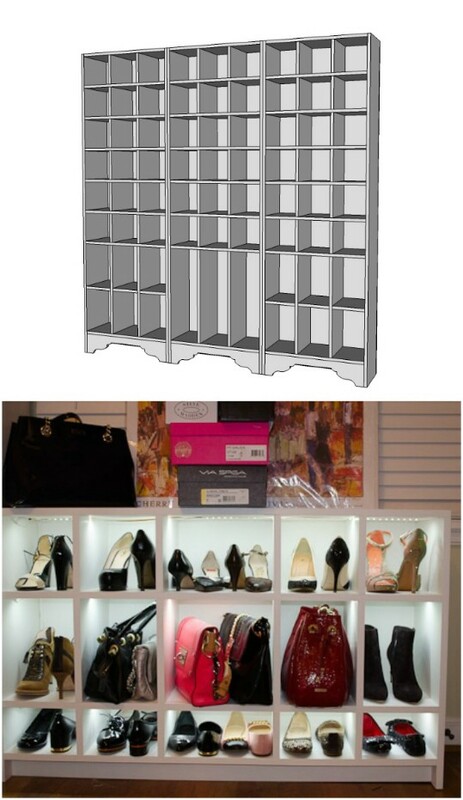 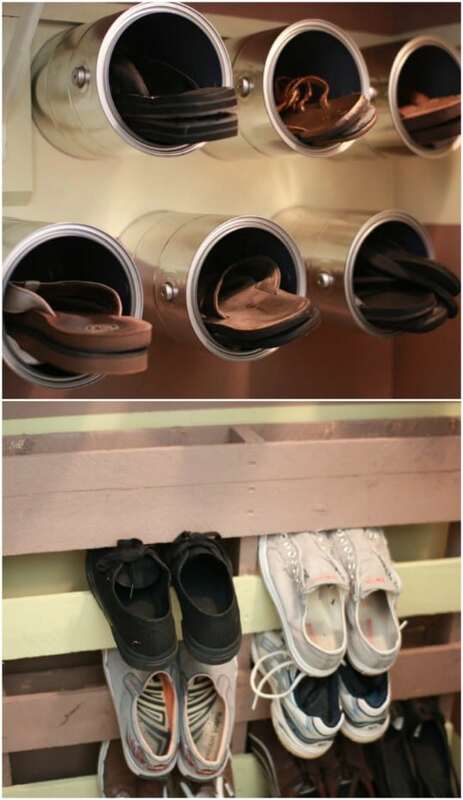 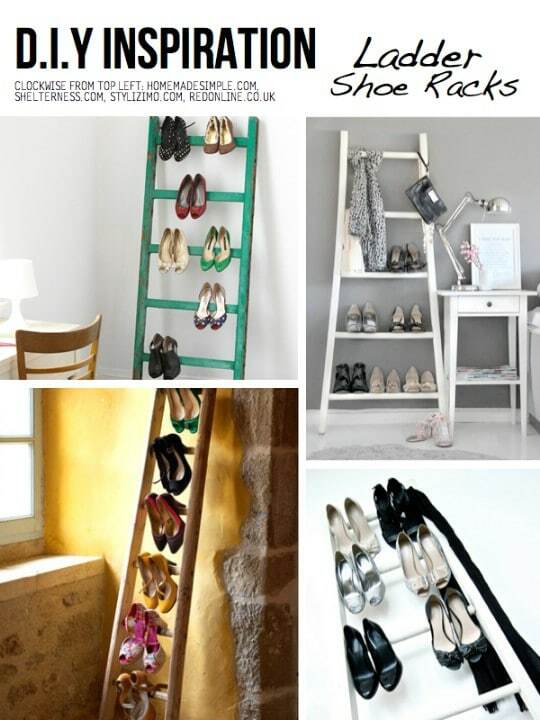 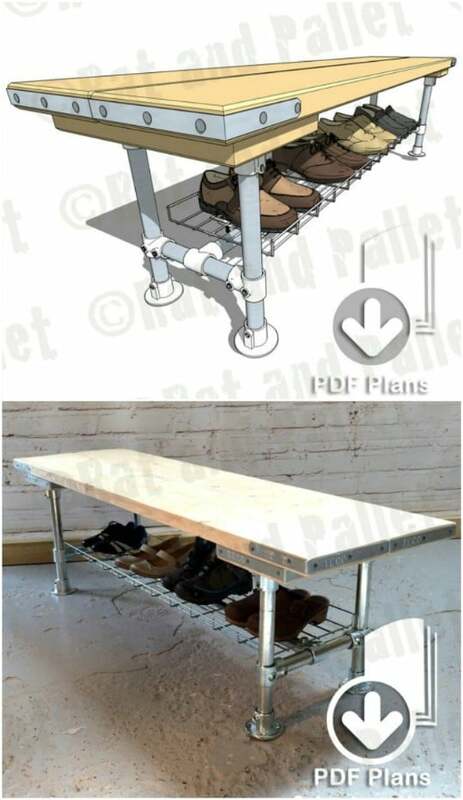 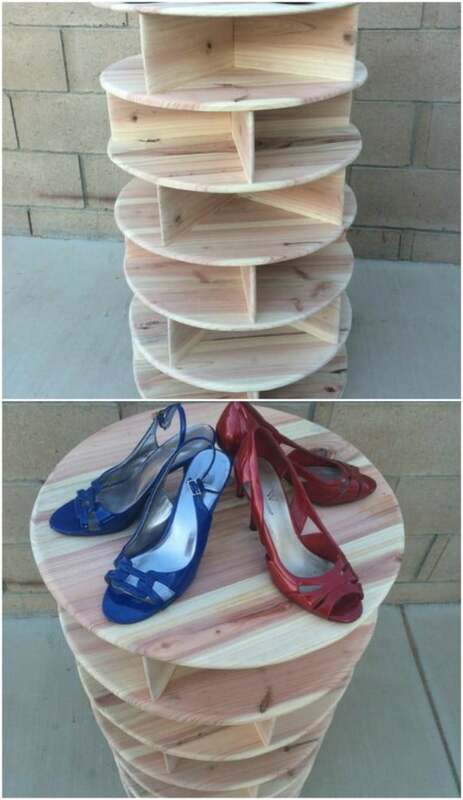 In tight spaces, such as an entryway nook, the following ideas for DIY shoe racks provides a compact yet effective storage solution for shoes of any type, from lightweight sneakers to boots. 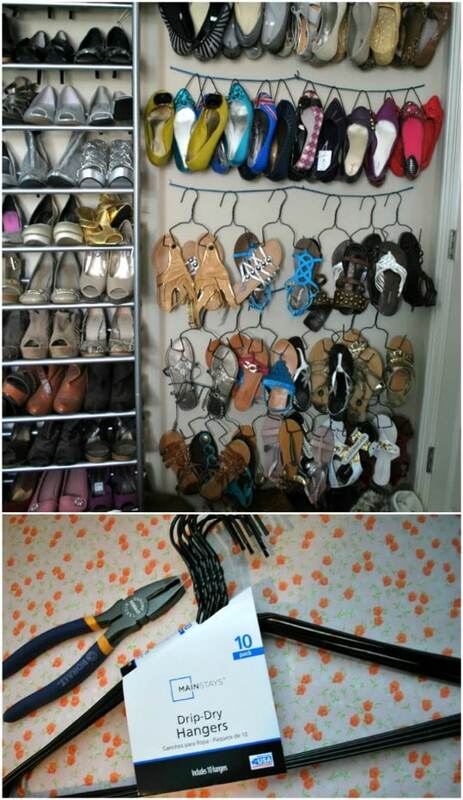 It’s amazing what a little organization can do for a room. 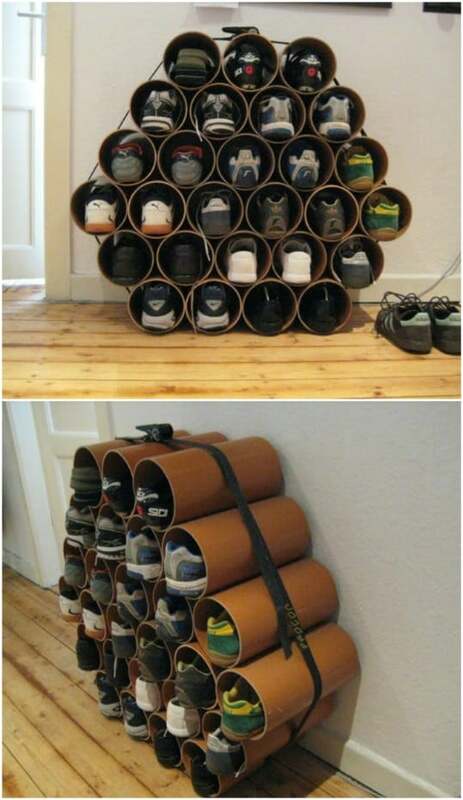 Shoes can take up quite a bit of room on the floor, so make cleaning a breeze and try one of these easy ways to keep your shoe collection under control.